Our lovely boat, the Ragga King. 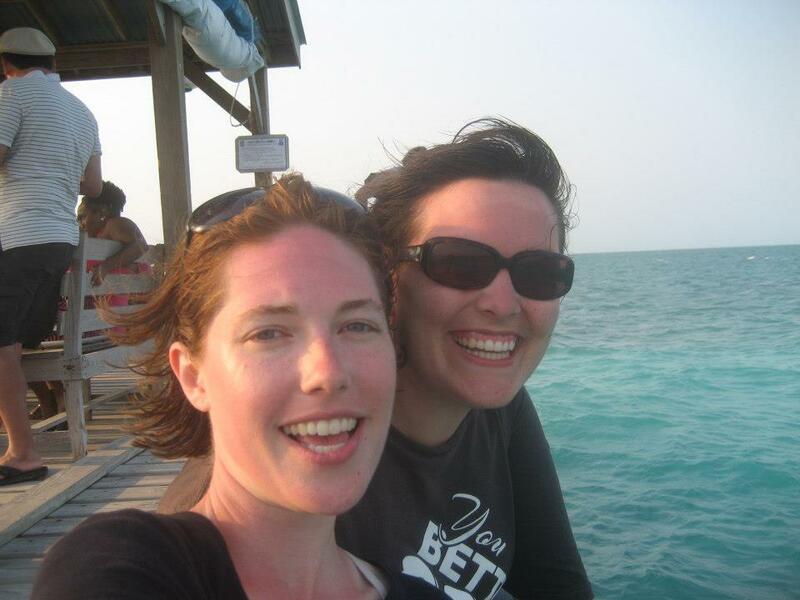 In San Pedro on Caye Ambergris, I met up with my friend Maggie from San Francisco who came down to spend a few days with me in between her old and new jobs. We spent most of the four days she was here in the sun, reading, and girl talking while generally lazying about the yoga retreat where we stayed (and did zero yoga), but we had one main event: a full day snorkel tour of the Belize reef. We went with Ragamuffin tours out of Caye Caulker. It is one of the more pricey snorkel tours, but we also had heard it was the best: $70USD each for six hours on the boat, three one-hour snorkel stops, snorkel guides, gear, lunch, and sunset ceviche and rum. 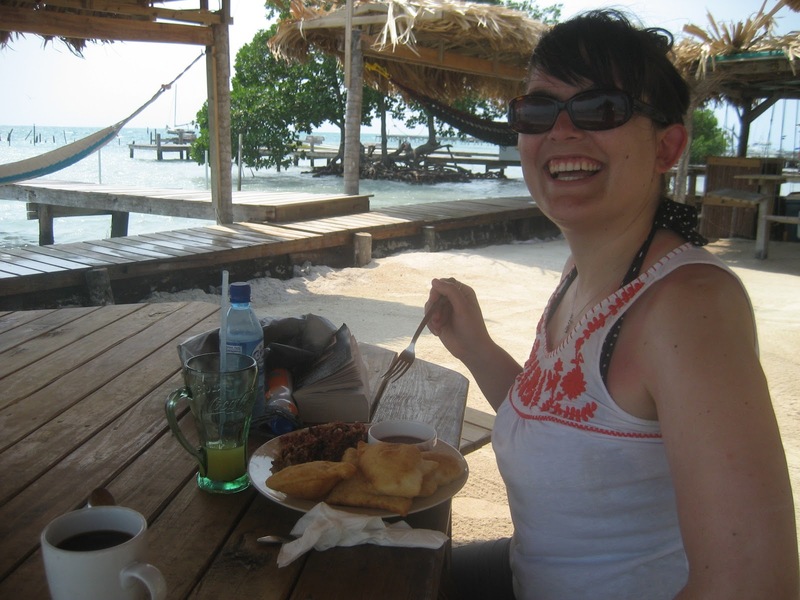 (Other half day tours without food cost about $35USD.) 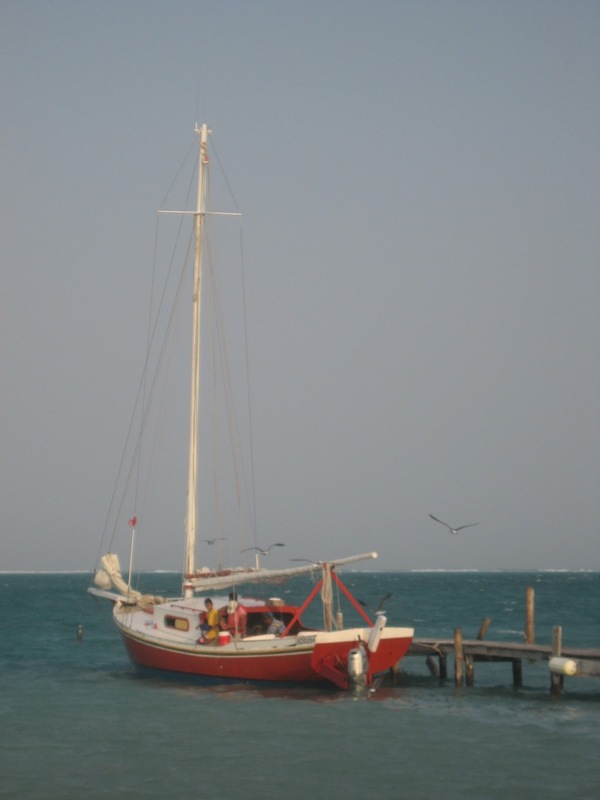 After a breakfast of fry jack (savory Belizian fry dough) and beans, we climbed aboard and headed out to sea. Maggie with hash and fry jack! The sun was shining bright, the island music was playing, and we were all in fine spirits. It felt happy-chill in a very Caribbean way. I love when good cliches come true. Our first stop was Coral Gardens way out in the reef, about a hour sail from our home port. We got our fins wet snorkeling among the coral and riding the waves. Me, joyfully dipping my toes off the Ragga King. Our second stop was Shark Ray Alley. 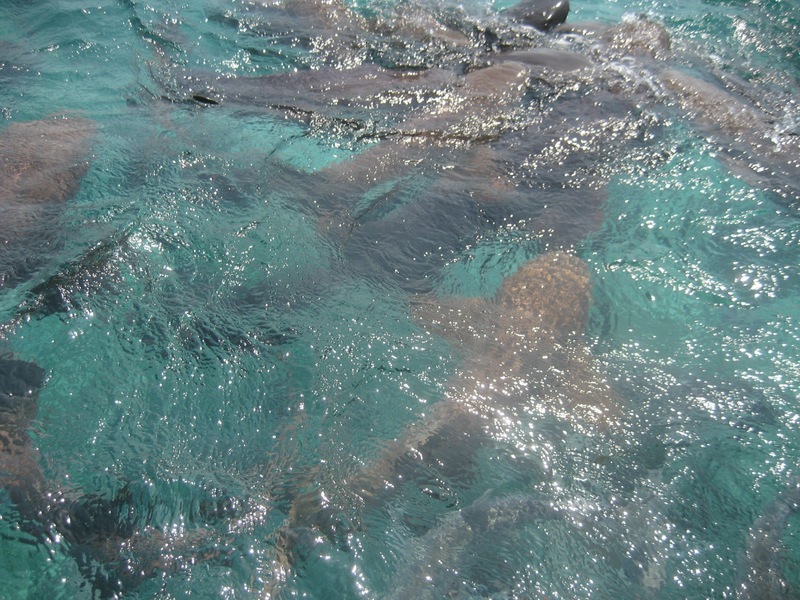 Our guides tossed some chum into the water and suddenly beside our boat was teeming with four-foot long nurse sharks. We all jumped on in and checked out the docile frenzy, with large sting rays cruising just below on the sea floor. One of the guides grabbed a shark and let us all pet his belly. Smooth and springy!